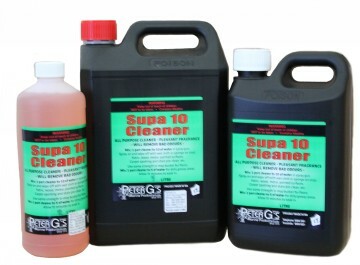 AN INDUSTRIAL STRENGTH ALKALINE CLEANER. 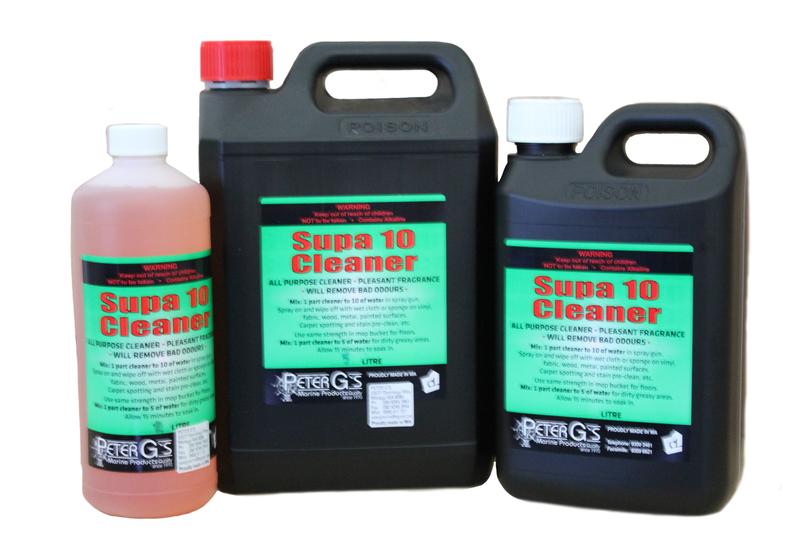 CAN BE USED FOR DEGREASING (USED NEAT) TO DOMESTIC SPRAY & WIPE CLEANING (10 PARTS WATER : 1 PART SUPA 10). GREAT FOR CLEANING CONCRETE FLOORS.